Local web hosting players On A Cloud, SpiderWeb Hosting and Boot Domains will be folded into fellow web hosting and domain name registrar VentraIP Australia after it acquired the three companies. VentraIP CEO Angelo Giuffrida said in an online post on 2 May that VentraIP had the three acquired companies claim more than 1,000 customers and more than 2,400 active services combined. All three brands will be retired once customers have been merged in to VentraIP Australia. According to Giuffrida, the new acquisitions are part of VentraIP’s strategy going forward, with more such purchases on the horizon. “Last year we focused our efforts on boosting organic growth through an improved online presence in search engines, customer service and technical support insourcing, and updated products and services with higher value margins,” Giuffrida said. “This strategy has proven hugely successful with over 35 per cent growth attributed in less than twelve months. “These three companies are the first of six acquisitions that we are actively working on, and we hope to have further announcements as we close those deals in the near future”, he said. For Robert K., founder of the Sydney-based Spiderweb Hosting, the acquisition of his company by VentraIP comes at the end of an eight-year run for the business. “Providing a solid hosting service for clients over the past eight years has been time consuming but rewarding at the same time,” he said in a statement. “Before losing focus, I have decided to pass the company over to VentraIP knowing that all services and clients will be looked after as I have done by one of the best providers in the industry”. 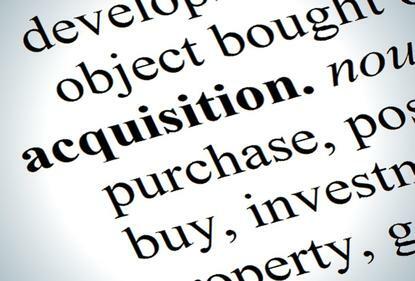 The acquisitions come amid a broader consolidation in the local web hosting landscape, with Servers Australia announcing its purchase of and cloud hosting business from Axelera in October last year. Last year also saw j2 Global sell off its Australian hosting business to wholesale web service platform provider Hostopia, and Dreamscape Networks (ASX:DN8) spend $4.45 million on the business assets of Sydney-based Enetica Group.